TUSCALOOSA, Ala. – Zaay Green recorded her first career double-double and No. 20/17 Tennessee out-rebounded Alabama, 49-44, but it wasn’t enough to overcome a UA team that shot a blistering 50 percent from the floor en route to an 86-65 Tide victory in Tuscaloosa. Alabama (10-8, 2-3 SEC) was led by junior Cierra Johnson, who had 17 points and seven rebounds. Ariyah Copeland finished with 16 points and nine rebounds, while Shaquera Wade had 15 points. 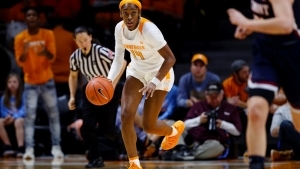 The Lady Vols led by one on two occasions and out-rebounded Alabama 12 to nine in the opening quarter, but the Crimson Tide rode three-of-six shooting from behind the arc and a 52.9 field goal percentage to a 22-18 lead by the end of the first stanza. 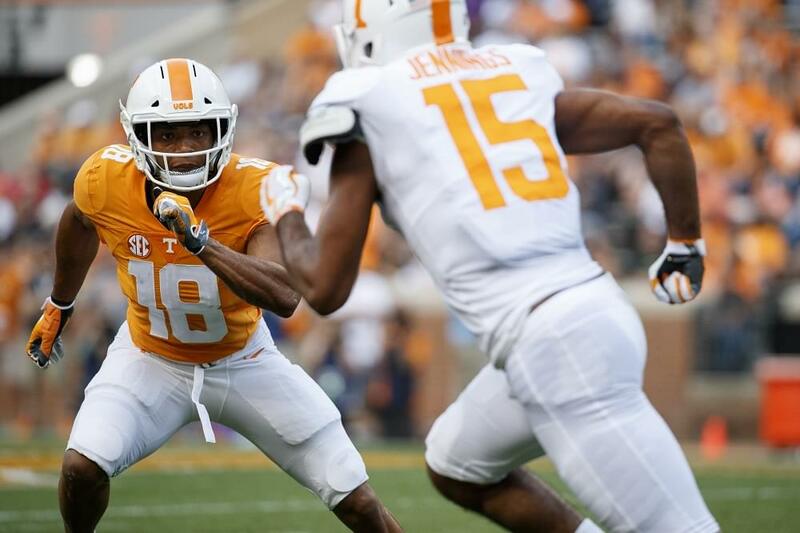 Nine players saw action for Tennessee in the first period with six of them contributing at least two points. With 6:33 remaining in the half the Crimson Tide pulled ahead by six points, but Zaay Green and Kasiyahna Kushkituah combined for five straight points to put Tennessee within one by the media timeout. The Lady Vols took their first lead of the quarter off a Zaay Green 3-pointer with 2:23 remaining in the half. Alabama rallied with five quick points, but Evina Westbrook knocked down a 15-foot jumper to send UT into the locker room down two at 36-34. The teams traded baskets in the opening minute and a half of the second half before a Copeland layup launched a 7-0 run by the Crimson Tide, giving the home team a 45-36 lead at the 7:36 mark. Zaay Green broke the drought for UT, driving and converting on a 10-foot jumper in the lane to set off a 10-2 run to pull UT within one with 4:21 to play in the third. UA rallied back, building back a five-point lead to go into the final stanza up 60-55. Alabama had the hot hand in the fourth quarter, while Tennessee’s offense fell cold, and the Crimson Tide went nine of 17 to outscore the Lady Vols 26-10 in the fourth quarter and close out the victory. Up Next: The Lady Vols will return home to host Arkansas on Monday in the annual We Back Pat game. The game is scheduled to tip at 7 p.m. and will be televised by the SEC Network. Freshmen Finding Their Groove: Rae Burrell and Zaay Green each set new SEC and career highs against Alabama. Green set a new SEC high of 14 points and a new career high of 12 rebounds, while Rae Burrell set a new SEC highs of 12 points and seven rebounds. Bench Contributing: After seeing single-digit scoring totals from the bench in its first two SEC games, Tennessee’s bench combined for 14 in the following two games before recording 24 against Alabama. It was the most points UT’s reserves have produced since scoring 38 points against Murray State. Big On The Boards: Tennessee out-rebounded Alabama 49-44 and is averaging 47.4 rpg in SEC play while holding opponents to an average of 36.6 rpg. UT has now beaten 15 of 17 opponents on the glass this season.